How do I take screenshots in order to share my work? How can students show work from other platforms in Kiddom? Help! My teacher wants me to take a picture of my work but I don’t know how. No problem, if your work is digital, you can take a screenshot. 2. This will make your cursor look like a target. Click and drag it over your work. Your computer will then take a picture of that area. 3. Go to "All My Files." Your picture will be labeled “Screenshot” with the date and time that you took it. You can rename it by clicking on the title twice and entering a new title and reorganizing it where you can find it. 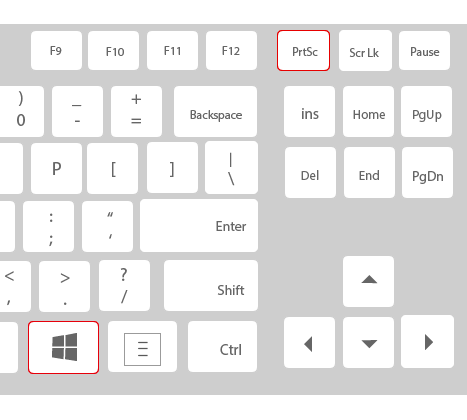 Press the Windows and Print Screen buttons. When you press these, you will save a full-screen screenshot directly into a file. It should be saved in a file called “Screenshots” in your “Pictures” folder. The picture will be saved as a PNG file and it will automatically be labeled “Screenshot” with the number for each screenshot you take. 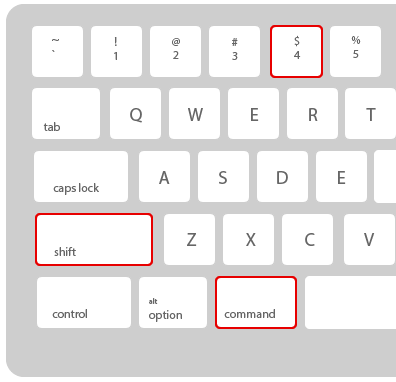 Hold down Control [“Ctrl”] and [Shift] keys at once and press the [Switch Window] button. Once as you take a screenshot, the image saves into your “Downloads” folder where they are labeled with the date and time you took them. You can click on the notification to open the Downloads folder and select the image file.